← Let Me Out Mom, Birds! Praise The Lord the 400 Bibles in French have reached the Boyds in Senegal finally after several months of effort. Here’s a note from them. We wanted to let you know that the Bibles arrived in the village! Our friends spent last week with us and delivered them to us and we could not be more excited. They are great quality and being hardback will greatly increase their longevity and durability. In addition, it was great to give some of the believers here their first Bible that had the Old and New Testament. The first person to receive one of the Bibles was my oldest daughter’s best friend who is about 14 years old. She was here spending time with my daughter and asked about the Bibles and we were able to give her one and she assured us that she would begin to read it. The next day her mother came over and asked if it would be possible for her to have a Bible as well and of course we said, “Yes!” When she received it she clutched it to her chest smiling and said that she had heard people, including our family, speak about the Bible, but that she never thought that she would have one of her own. Thank you for making it possible for her to have her own copy of the Word of God! Let us pray for the Boyds as they distribute the Bibles to those in need and may the Word go forth in the power and might of the Holy Spirit that many will be saved through Jesus Christ our Lord. Amen. 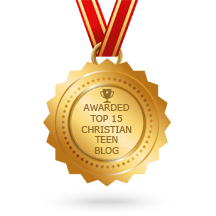 This entry was posted in A CLICK A BLESSING TODAY, CHRISTIAN TAGALOG BLOGS, CHRISTIAN TEENS BLOGS, CHRISTIAN URDU BLOGS, PRAISE THE LORD TESTIMONIES, PRAYER REQUESTS and tagged Bibles in Senegal, in power and might of the Holy Spirit, send forth the Word. Bookmark the permalink. I worked in many communities on the west coast of Africa where Bibles were no where to be found.. Especially for those who could read French, but could read their native language. May The Lord continue to bless you efforts. Praise the Lord. Let us pray that each Bible will send the Light of God into lives darkened in sin and shame. Praise God for His word going forth. I will be praying for the Boyd’s tomorrow. It always amazes me how the Devil resists our efforts to put this book into the hands of those who want it. It amazes me more when miracles occur all around the work of delivering His word so that the Book gets into the hands of soul-hungry people. Yes, let us keep covering the evangelistic work and missionaries in Senegal with prayer. The Lord still delivers from sin through His Word. Praise the Lord. I have several dozen Bibles in my home…when is the last time I clutched one to my chest and with tears in my eyes said, “Thank You, Lord”? Thanking The Word for The Word…written AND Incarnate. Bless the Lord, O my soul. And thank you, MT, for this reminder of this blessing we too easily take for granted. Going now…to hug my Bible…. Much joy in Diouloulou today! Praises be to the Lord! Many thanks for His faithful stewards and servants who persevered to the end to ensure the Word was delivered where the name of the Lord Jesus needs heard. Prayers for the Boyd’s and the people of Senegal today, and many thanks to Him for you dear Sister in Christ! MT you have played a great part in this team effort too. Praise the Lord and blessings to you and family. Amen.. Evelyn, you are such a blessing to everyone who comes in contact with you… An “Angel of the Lord” just came to me. May God pour His blessings over you, your family, and ChristianBlessings. Love you my sister!! Thank you Secret Angel. You are a blessing too. Praise God.